“I’m proud to be a part of the occasion,” says Serbian referee Milorad Mažić as he prepares to take charge of Saturday’s UEFA Champions League final between Real Madrid and Liverpool. “I think if you ask any European referee what their dream is when they start out on their international career, they would say it’s to referee the Champions League final,” says the 45-year-old from Serbia as he looks forward to taking charge of Saturday’s encounter between Real Madrid and Liverpool in Kyiv. “It’s the biggest European club match, a big crowd, fantastic atmosphere, two big clubs – it’s very, very special, and I’m proud to be a part of the occasion together with my team,” he reflects. 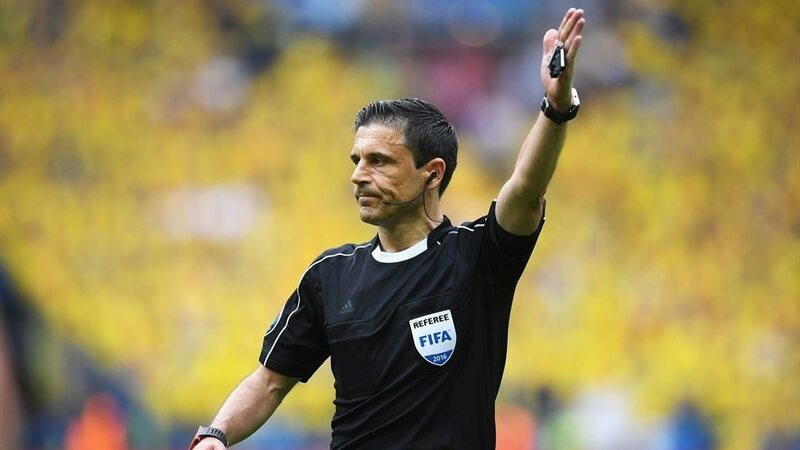 Mažić will be accompanied in Kyiv by a Serbian refereeing team – assistant referees Milovan Ristić and Dalibor Djurdjević, and additional assistant referees Nenad Djokić and Danilo Grujić. Clément Turpin (France) is the fourth official, with Serbian reserve assistant referee Nemanja Petrović completing the refereeing line-up. Mažić, married and the father of two sons, joined the international list in 2009 and has already refereed two premium games on the football calendar – last year’s FIFA Confederations Cup final between Chile and Germany, and the 2016 UEFA Super Cup match pitting Real Madrid against Sevilla. He believes referees should develop their own style and personality, adding: “I watched all the great referees and I have taken something from all of them, but I don’t think you should try and be a ‘copy’ of someone else,” he reflects. Mažić and his team will prepare for Saturday’s final as if it were a normal match. “We will focus on building up our concentration to be ready for the game – and it’s important to make a good start to a match, it gives you confidence for the rest of the game. Top-level football’s tactical and technical development over the years has meant that referees have had to adapt to the evolution. “The game is very different to what it was a couple of decades ago,” Mažić says. “It’s quicker, the players are fitter. So the challenge has been for referees and refereeing to keep up with the changes – this also applies to the laws of the game.